(Black Friday) November 29th and extending through Dec 1 until 11:59 pm. Please note that the sale will be scheduled according to Pacific Standard Time. 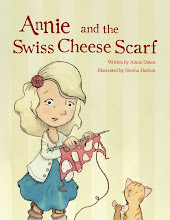 All printed books will be 50% off during this 3 day sale. Please click on the above links to visit the respective ordering website for each book. I'm sorry, but shipping fees cannot be combined. Each website will calculate the shipping costs for you for each product individually. Thank you everyone for all of the support you have given me for the past 6 amazing years of blogging. 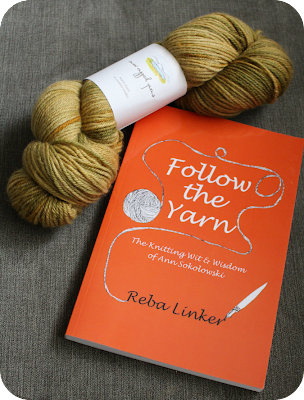 Enter to win this copy of Follow the Yarn by Reba Linker along with a skein of Snow Capped Yarns Latouch DK in the Dried Sedge colorway provided by The Net Loft by leaving a comment under this post by December 15th. Please remember to include your contact information. Only one comment per person please! The winner will be announced on Episode 77. In looking for botanical inspiration for my new book, I stumbled across this beautiful photo online by photographer, Steve Stenzel. I love this photo for so many reasons but I especially am impressed by how it represents the life cycle of this particular plant. From the new growth of spring all the way to the end of autumn. I am so drawn to this natural color palette. 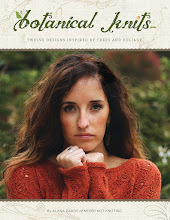 So much so in fact.. that I showed this picture to the ladies of Spincycle Yarns and they used it in creating a special new colorway just for me. And they did such a phenomenal job! 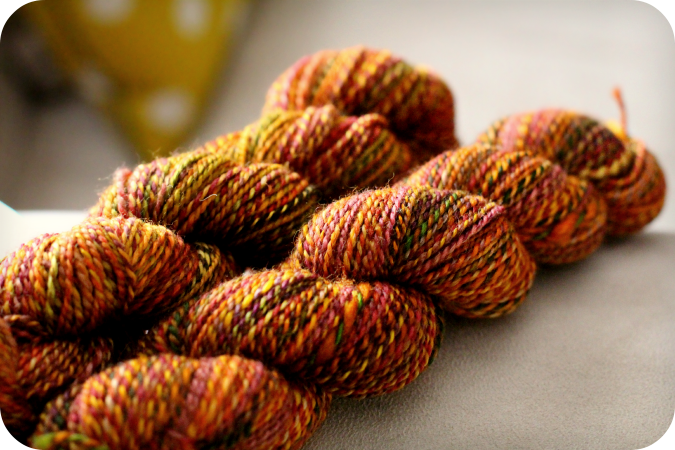 This beautiful yarn perfectly captures the colors of changing leaves. 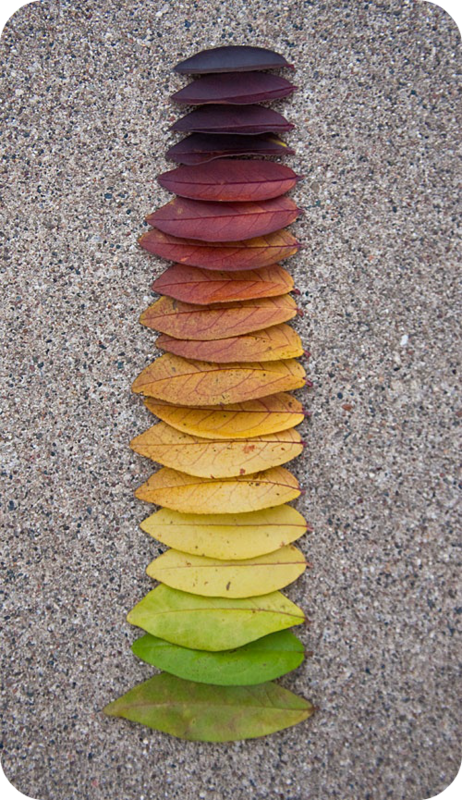 The way that the colors subtly change from one to the next perfectly expresses this idea of the natural life cycle of spring to autumn. I am not usually one to go for multi-colored yarn.. but this one I love. 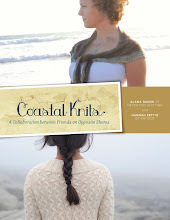 With this yarn I created my "Life Cycle" scarf design. This is an accent scarf consisting of a string of big leaves.. one growing out of the next. It works so perfectly with this yarn and I am so happy with it. 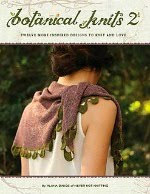 This scarf pattern will be included in my upcoming book, Botanical Knits 2. 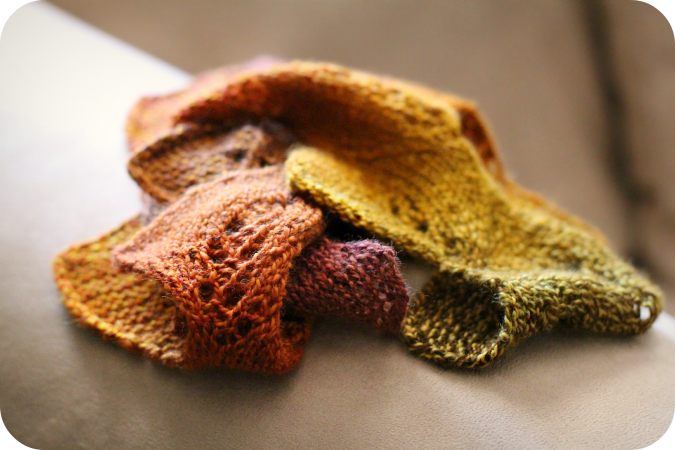 The scarf pattern will call for 2 skeins of Spincycle Dyed in the Wool yarn. This special colorway is called "End of Summer" and is available HERE.